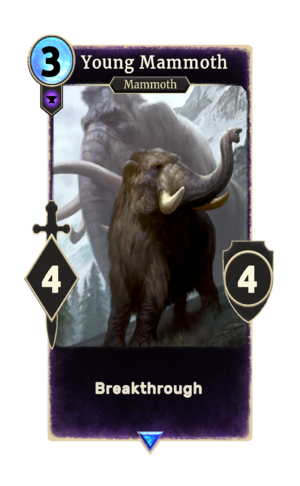 Young Mammoth is a rare Endurance creature card. It is part of the Core Set. Mammoths first appeared in Skyrim, and later reappeared in ESO.